Find out how a real-life black bear owned by a Canadian soldier serving in World War I inspired the famous children’s book. With bells ringing and brakes squealing, a trainload of men in crisp military uniforms pulled into the small lumber town of White River, Ontario, on August 24, 1914. In need of fresh air and a stretch of his legs after a long day on the rails, Lieutenant Harry Colebourn descended the steps of his railcar onto the station platform when an unusual sight caught his eye—a black bear cub no more than seven months old at the end of a leash held by a trapper seeking to attract the attention of a willing buyer. 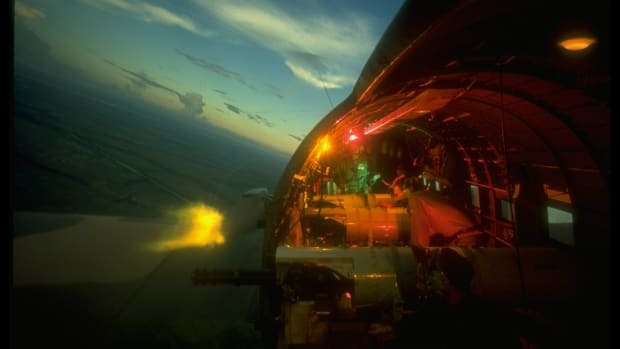 In the 27-year-old Canadian soldier, the trapper found the perfect customer. 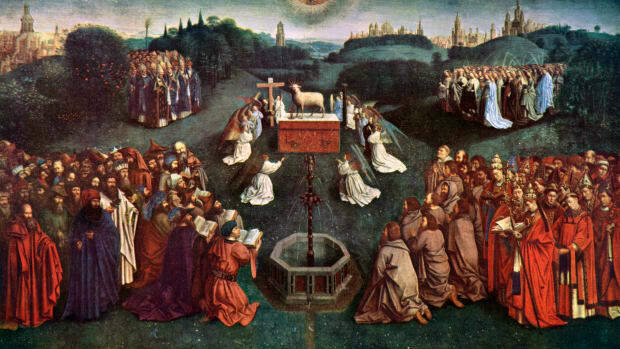 Born in Birmingham, England, Colebourn had always loved animals. At the age of 18, he emigrated to Canada to study veterinary surgery. After graduating from the Ontario Veterinary College in 1911, Colebourn settled in the prairie boomtown of Winnipeg to take a job with the Department of Agriculture. 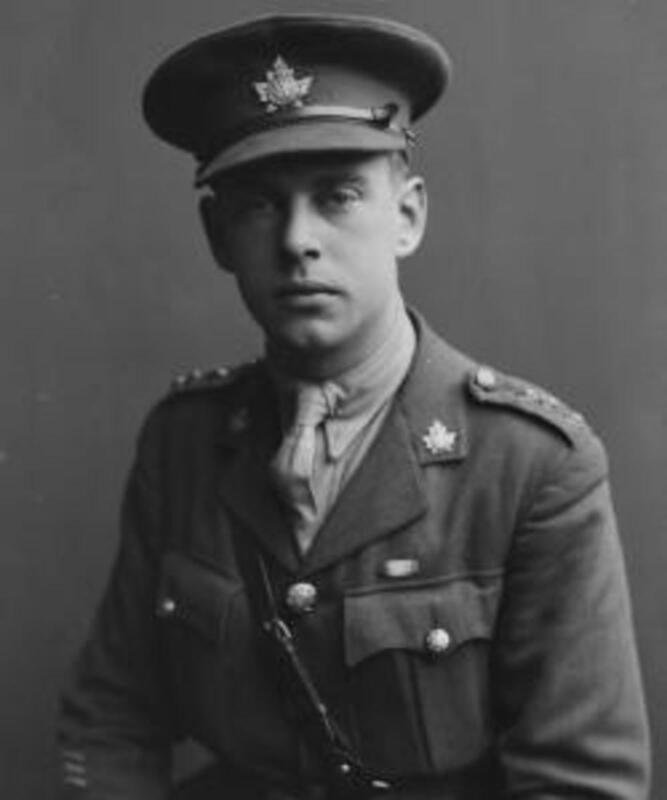 Days after the launch of World War I, the young veterinary officer with the Fort Garry Horse cavalry regiment was among the first to enlist and depart Winnipeg for the military training camp at Valcartier, Quebec. During the brief stopover in White River, Colebourn scooped the little bear into his arms as the trapper explained that he had killed her mother but couldn’t do the same to the orphaned cub. 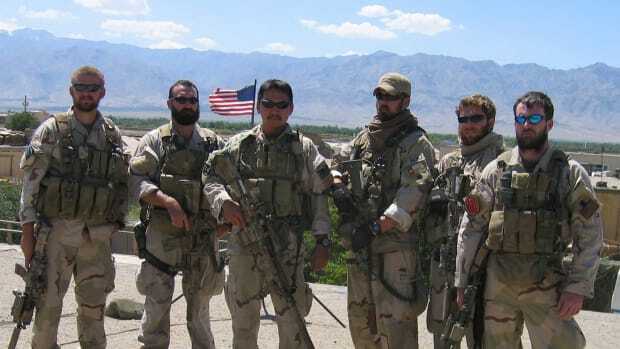 The captured bear quickly captured the soldier’s heart. The cavalry veterinarian purchased the cuddly cub for $20 and returned to the train with his new pet, which he named “Winnipeg” in tribute to his hometown. 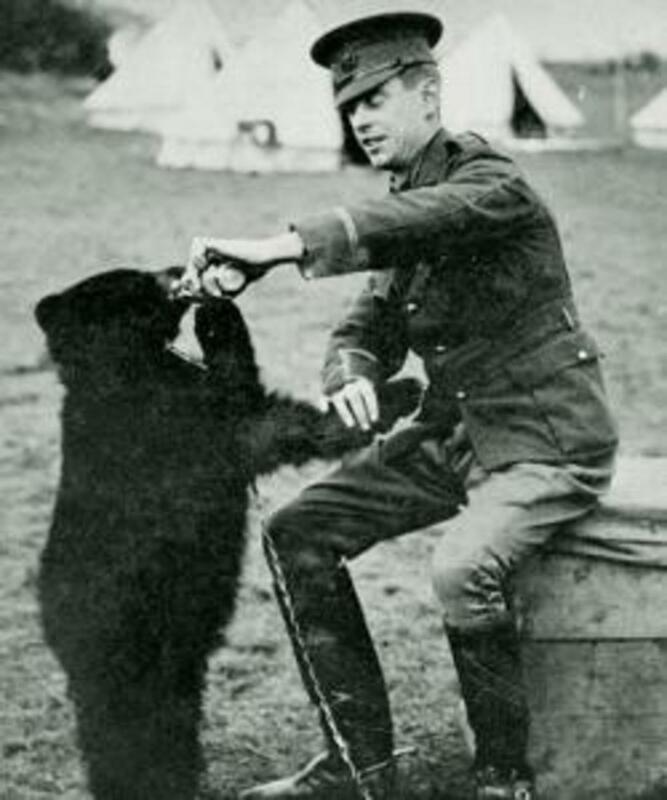 During the weeks Colebourn spent training with other members of the Canadian Expeditionary Force at Valcartier, the bear he nicknamed “Winnie” proved a trusty companion. Harry trained Winnie with rewards of apples and a mixture of condensed milk and corn syrup. The cub slept under his cot and followed him around like a puppy. 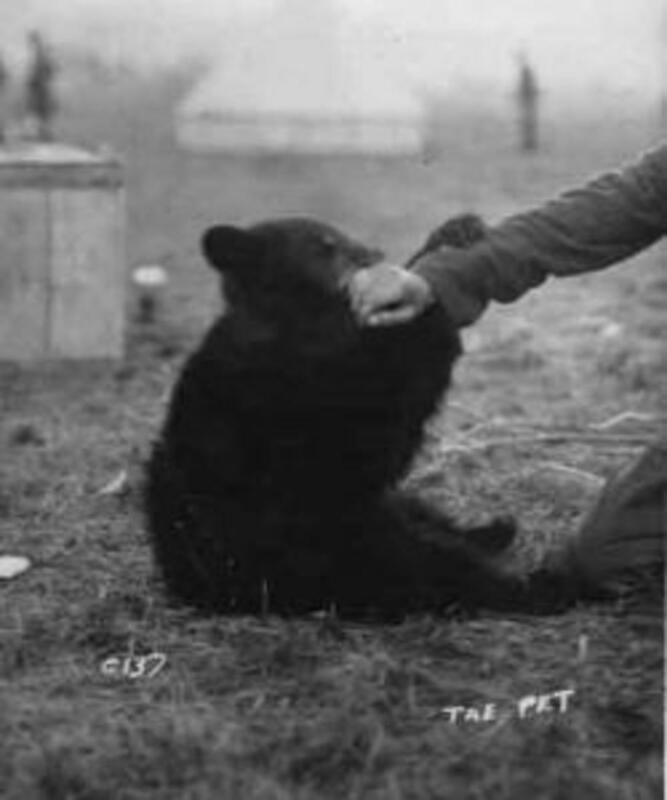 When not climbing tent poles or playing with her owner, the gentle bear posed for photographs with soldiers and became the regiment’s mascot. In early October, Colebourn boarded the military transport S.S. Manitou with Winnie in tow as he sailed to England for additional instruction. After seven weeks of training on the Salisbury Plain, the veterinary officer received the call to the Western Front. The trenches of France were hardly a place for a man—let alone a bear—so on December 9, 1914, Colebourn brought Winnie to her new home at the London Zoo, which had just opened a new bear habitat that resembled a mountain landscape. Before parting, the soldier promised to bring Winnie back to Canada once the war was over, which he hoped would be a matter of months. There would be no quick end to World War I, however, and Colebourn witnessed the horrible carnage firsthand. 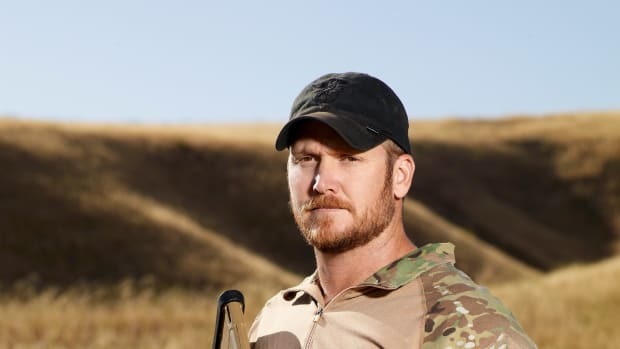 On one occasion, he narrowly avoided being hit by a shell that exploded just yards away. At a time when horses were still critical military assets, Colebourn and the other members of the Royal Canadian Army Veterinary Corps provided a vital service by protecting them from disease and helping them heal from bullet and shrapnel wounds. Whenever he received a coveted leave from the front, Colebourn visited Winnie in her new home. Although she had grown from cub into bear, Winnie remained as gentle as ever. Zookeeper Ernest Sceales told a London newspaper in 1933 that Winnie was “quite the tamest and best behaved bear we have ever had at the zoo.” Children were even allowed to enter the bear pit to ride on Winnie’s back or feed her out of their hands. Weeks after the guns finally fell silent in November 1918, Colebourn reunited with Winnie. 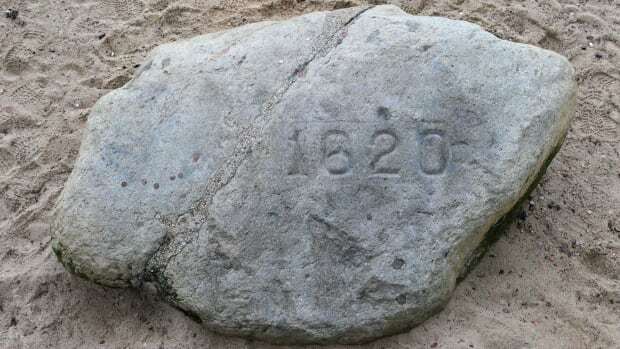 In spite of his promise at the start of the war, however, the soldier could not take the black bear back to Canada. He knew that his pet no longer belonged to him, but to the people of London. After saying his final good-bye to Winnie, Colebourn returned to Winnipeg, where he continued to work for the Department of Agriculture and opened a small animal hospital in the rear of his house. 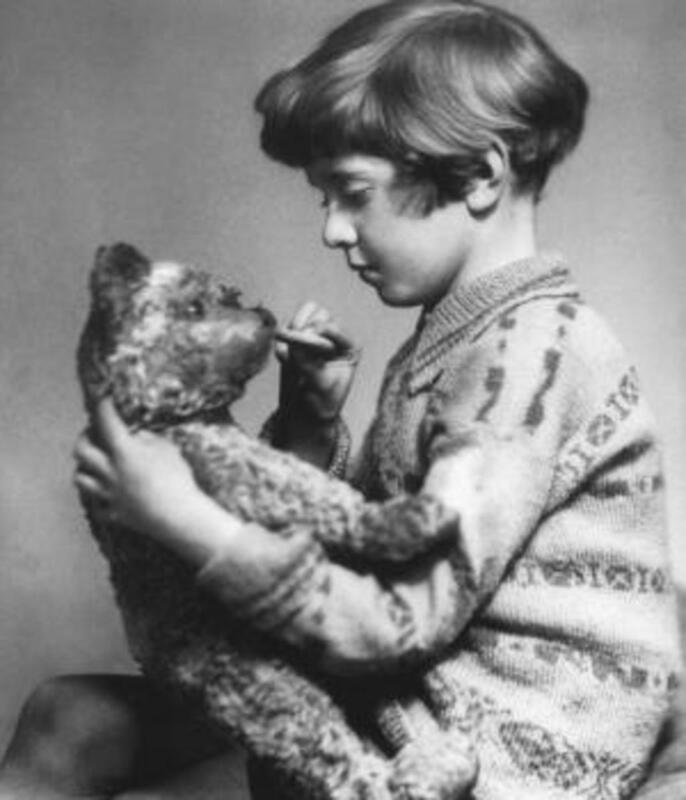 Among the children of London who continued to be smitten by Winnie in the coming years was a young boy named Christopher Robin Milne who repeatedly begged his father, author A.A. Milne, to take him to the zoo where he fed spoonfuls of condensed milk to the friendly black bear in between big, furry hugs. Christopher Robin grew so fond of the London Zoo’s star attraction that he changed his teddy bear’s name from “Edward” to “Winnie the Pooh,” an amalgamation of the black bear’s name and a moniker he had bestowed upon a swan he used to feed in the morning. 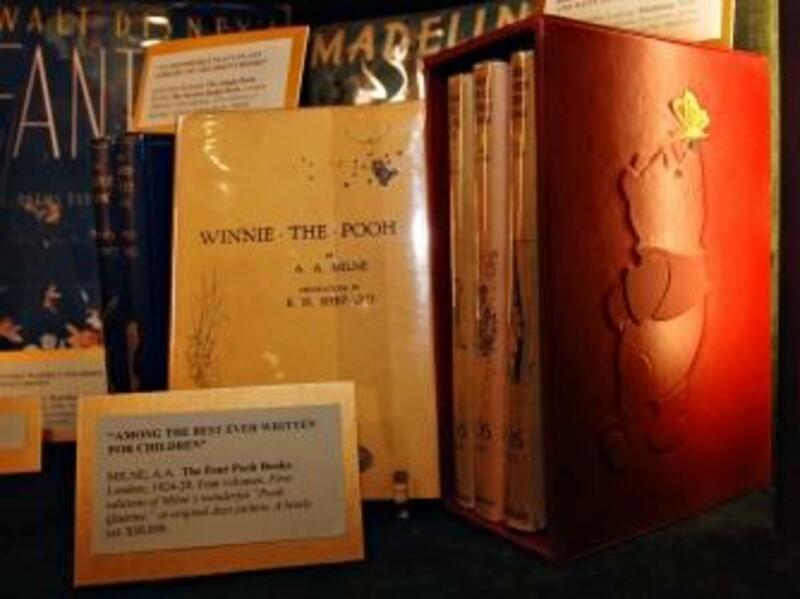 Winnie the Pooh and other stuffed animals in Christopher Robin’s nursery—including Piglet, Eeyore, Kanga, Roo and Tigger—served as inspiration for his father’s most enduring writings. 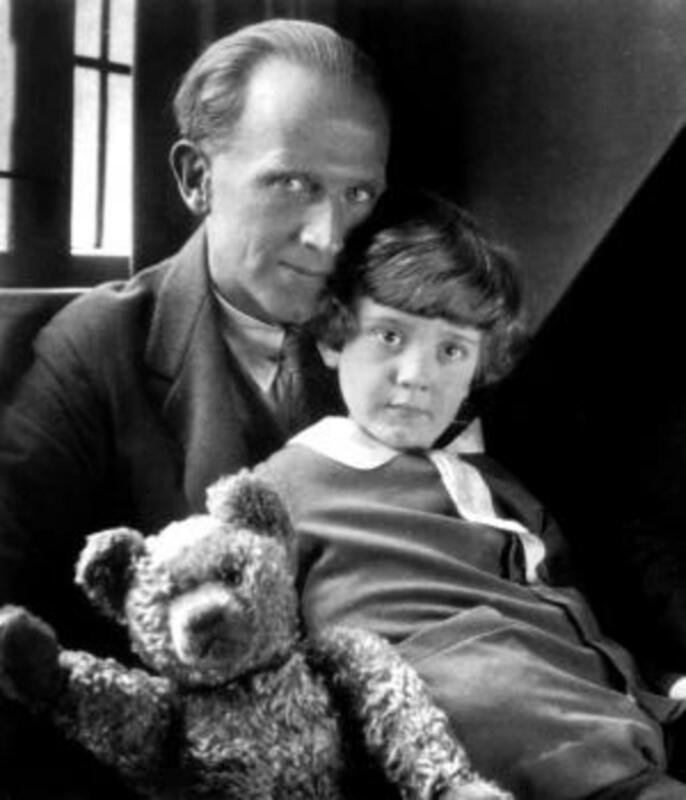 A.A. Milne had been a prolific playwright, screenwriter, detective novelist and contributor to the humor magazine Punch when he first brought the character Winnie-the-Pooh to life in his 1924 book of children’s poetry, “When We Were Very Young.” That was followed by the publication of a full volume of stories, “Winnie-the-Pooh,” in 1926. 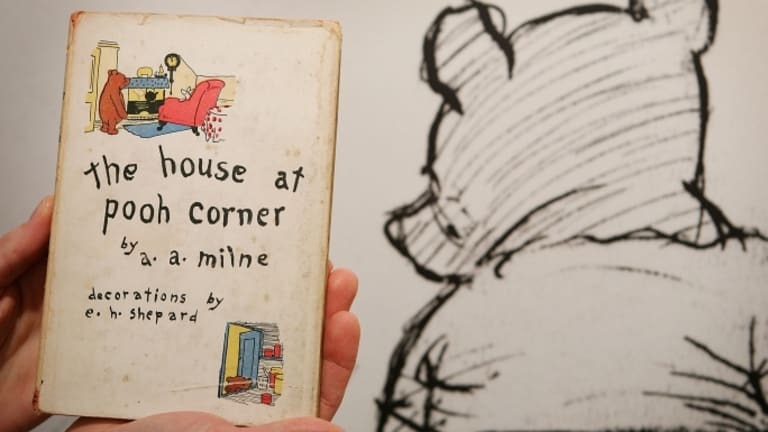 A sequel, “The House at Pooh Corner,” was released two years later. Like Colebourn, Milne had served in World War I, and the idyllic setting of the 100-Acre Wood was a welcome sanctuary from the horrors of the Western Front that remained fresh in his mind and those of many readers in the 1920s. The success of Milne’s books made Winnie more famous than ever. 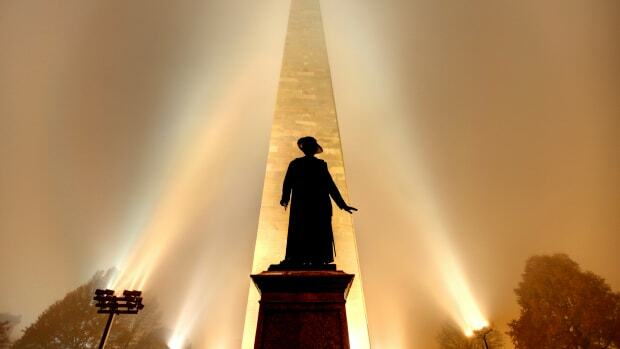 When she passed away in 1934 at the age of 20, her death made news around the world. Winnie was so notable that her skull was sent to the Royal College of Surgeons, where it was placed on display last year for the first time. Statues at both the London Zoo and Winnipeg’s Assiniboine Park Zoo of Colebourn holding the hands of Winnie as she stands on her hind legs also offer reminders of the bond between a Canadian soldier and a black bear cub that led to the creation of a literary classic.